New York: Springer-Verlag, 1983 pp vii 120 including index. Yellow card covers. By Bratley, Paul, Fox, Bennett L. And Schrage, Linus E.
New York: Springer-Verlag, 1983 pp xxiii 470 including index with 545 illustrations in the text. Yellow card covers faded around spine. A little light creasing to bottom front corner otherwise very good. New York: Springer-Verlag, 1986 Springer Series in Statistics. pp xvi 156 including Indexes and Bibliography. Yellow paper-covered boards. Near Fine. New York: Springer-Verlag, 1978 Undergraduate texts in Mathematics Series. pp vii 280 including index Yellow laminated boards. Near Fine. New York: Springer-Verlag, 1984 Undergraduate texts in Mathematics Series. pp x 140 including indexand exercises Yellow laminated boards. Near Fine. 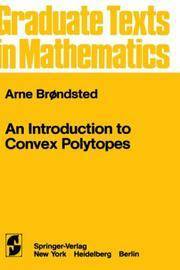 New York: Springer-Verlag, 1982 Graduate Texts in Mathematics Series. No. 90. pp viii 160 including index Yellow/White laminated boards. Near Fine. New York: Gregg Division McGraw- Hill Book Co., 1984 pp viii 936 including index and answers to exercises. 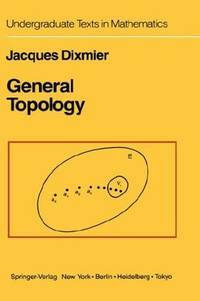 Illustrated with diagrams and tables. Pictorial laminated boards with light wear to corners and a little faded at spine. Glasgow: Brown Son & Ferguson Ltd., 1989 pp vi 220. Illustrated with diagrams. Green simulated leather covered boards, gilt. Ex-Library with new endpapers. Very lightly stamped on top and fore edge of page block and in bottom margin of introduction page only. Otherwise Fine. London: Lockwood and Co., 1871 This Edition corrected and enlarged by J. R. Young. pp xvi 241 plus 6 pages of testimonials and 12 page publishers catalogue at the back. Blind stamped purple cloth, gilt faded at front board and rear board top edge and brown at spine. Tiny splits at top of spine and bottom rear spine corner, internally a good clean copy. London: George g Harrap, 1967 pp. 268 Dark red boards, gilt. Ex-College Library not stamped but with numbers on reverse of title page only. VG in VG protected dustjacket with light creasing and 2 short edge tears at head of spine.